The 1,000-odd years old cattle mela at Kannapuram, near Kangayam, featuring genetically pure Kangayam cattle, which came to a close this week, is yet another wake up call for the different stakeholders to reformulate the strategies to save the breed from extinction. This year, nearly 14,700 Kangayam cattle, which include 3,400 cows and remaining bulls/ oxen/ calves, were traded at the fair. “It is a bit disappointing to hear the figures as nearly 1,00,000 cattle used to be traded about 15 years ago at this same event. It shows that the breeding has come down. However, a good sign is that the farmers who brought the cattle got prices as high as Rs. 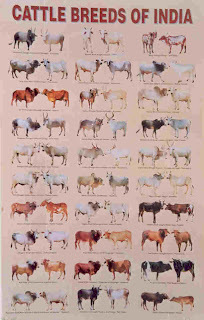 1.37 lakh for a pair of oxen showing that the breed still has the potential to fetch premium value,” K.S.M. Karthikeya, managing trustee of Senapathy Kangayam Cattle Research Foundation, which is involved in in-situ breeding of Kangayam cattle for six decades, told The Hindu . According to Mr. Karthikeya, the ban on jallikattu and rekla race brought down the demand for Kangayam cattle. “On the breeding front, the decrease in the acreage of ‘Korangadu’, a typical grazing area of Kangayam cattle, which contain about 29 species of trees and shrubs, and lack of adequate incentives to breed the native cattle species are causing the population to come down,” some of the cattle farmers opined. Conservationists like Mr. Karthikeya were of the opinion that the government should try to support marketing of milk from Kangayam cows separately through the network of Aavin and encourage zero budget farming using dung and urine of the cattle which could act as organic manure. your blog is doing immense service on educating people about the merits of Indian Indigenous cattle, much appreciated.